Finally made it to Sorellina, a nice recently opened spot in Hoboken. Happy to report back that I was not disappointed! It was not too crowded, but then again, temperatures were below freezing so I would still recommend you check out Resy for a reservation, we had no issues. We started off with some appetizers and if you know me, you know I can’t say “no” to burrata. In addition, we went for the roasted cauliflower and it was absolutely amazing. The charred onions and the breadcrumbs gave it the perfect crunch. As for the main course, I went for the Cacio e Pepe Conchiglie. It’s not your average Cacio e Pepe as it has milk-braised pork and it features a different type of pasta. Still, I took a chance and it was very good. 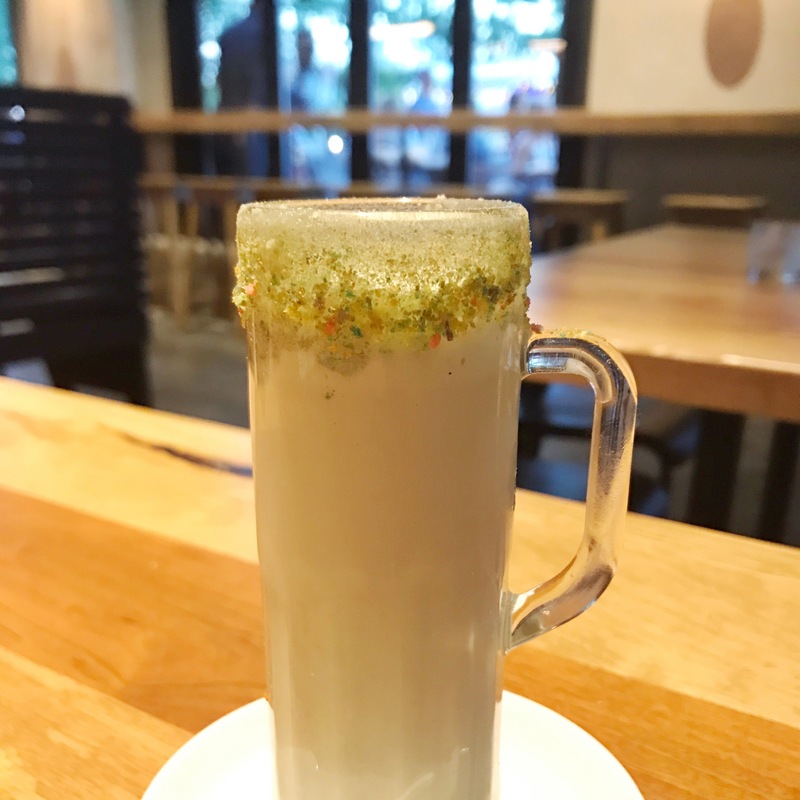 If you are craving Cacio e Pepe and are 100% set on it, order something else but if you appreciate what makes Cacio e Pepe amazing at the base and are open to exploring something different, go for it! 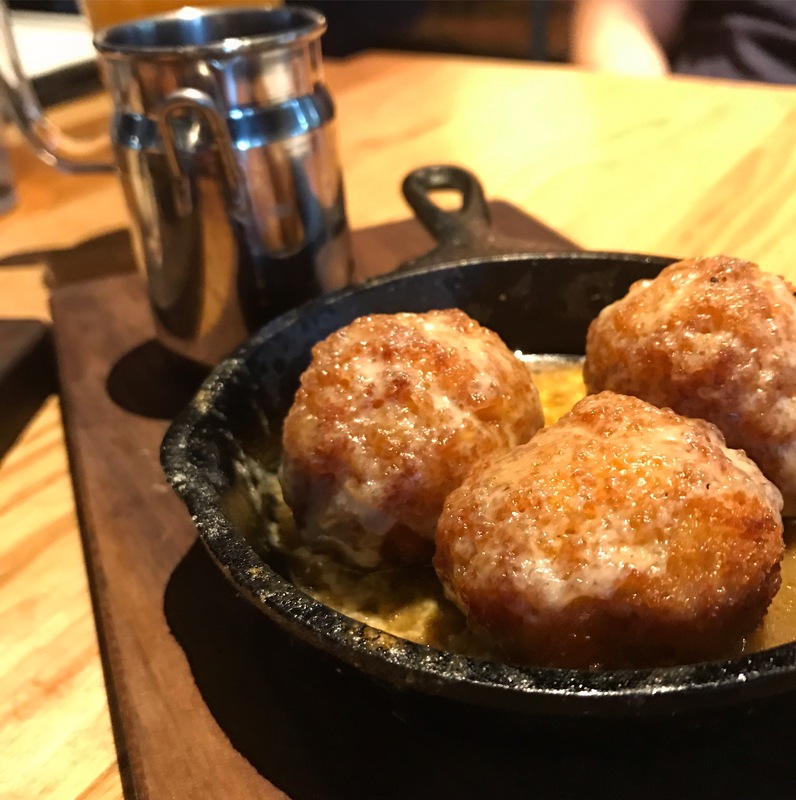 Overall, I definitely want to go back and try different plates to keep tasting their unique flavors and fusions. Have you been yet? Any recommendations? 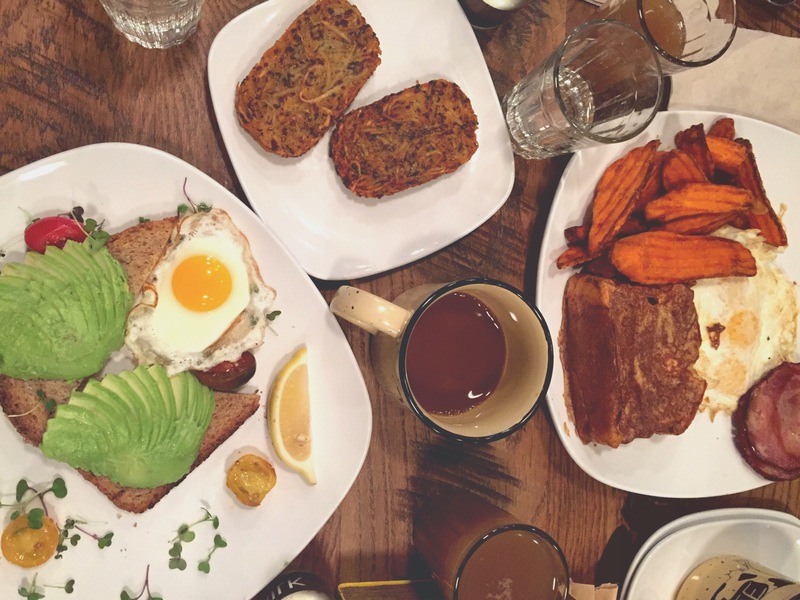 [Dinner AND Brunch] Welcome to the neighborhood, Union Hall! In case you missed it, Union Hall finally opened up its doors last week. I was skeptical going in but very hopeful that I could potentially find here my new favorite spot. Spoiler alert: it did not disappoint. The vibe is super chill and all their menu is based on small plates. I didn’t know this going in, but it’s the same owners as Brass Rail and Stewed Cow. The chef was also in Chopped and well, to me that’s pretty cool. Staff was super nice and you can tell they are excited to work there, which is always a plus. Enough about people, let’s talk food. Or wait, let’s talk drinks for a second. They have $5 martinis on Wednesdays! Their dirty martini is actually pretty darn good. I would have liked to have some blue cheese inside my olives but that’s ok, I’ll let it pass. They have great specials every day of the week including $2 Union Brew mugs every. single. day. Ok, now for food, for real. 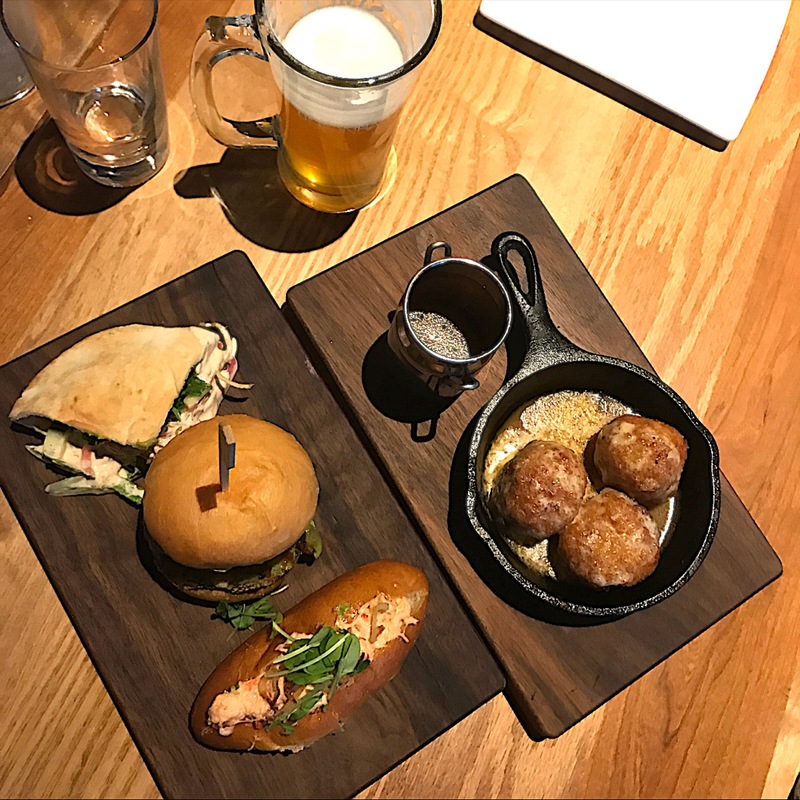 They had three sliders that you could order individually, but we decided to go all out and try the 3 of them out: veggie, turkey burger, and lobster. Brian and I both agreed the veggie slider was the best because the sauce was so good. 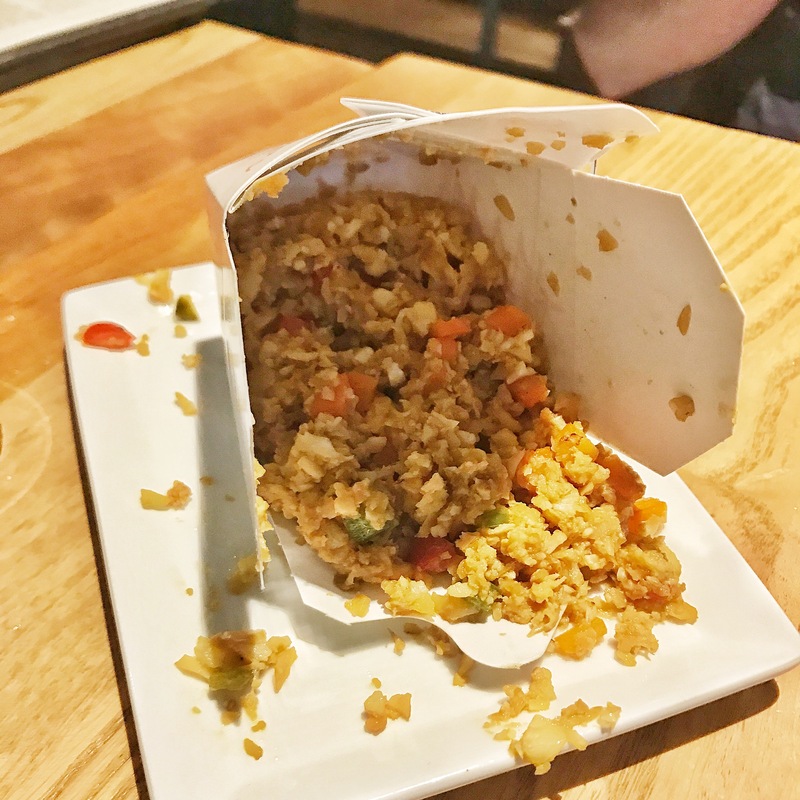 I don’t know about you, but I’ve seen plenty of pins on Pinterest and videos on Facebook about the wonder that is cauliflower fried rice. I’ve been meaning to cook it at home but I’m always too lazy. Union Hall is the first restaurant I’ve been to that offers cauliflower fried rice as part of their menu. It was probably the best part of the meal. Plus, it comes in this cute little take-out style box so, totally recommend it. We also got a hanger steak with blue cheese that made me think why I don’t order more steaks with blue cheese. I love blue cheese or any cheese for that matter, I guess. That may look like a tall shot of something creamy but it’s actually a mini milkshake! The waiter explained how they have different special milkshakes every day and the day we went in it was fruit loops. I must admit I was waiting for a mini version of those Black Tap shakes that can give you diabetes so I was a little disappointed when it didn’t have an actual fruit loop in it, but boy oh boy, it was SO good. It tasted like those last drops of milk from the fruit loop bowl. First, they have $2 mimosas! Can’t tell you how they were because I didn’t have one (stupid, I know) but I will be back and can update based on the verdict. Again, $2 mimosas! 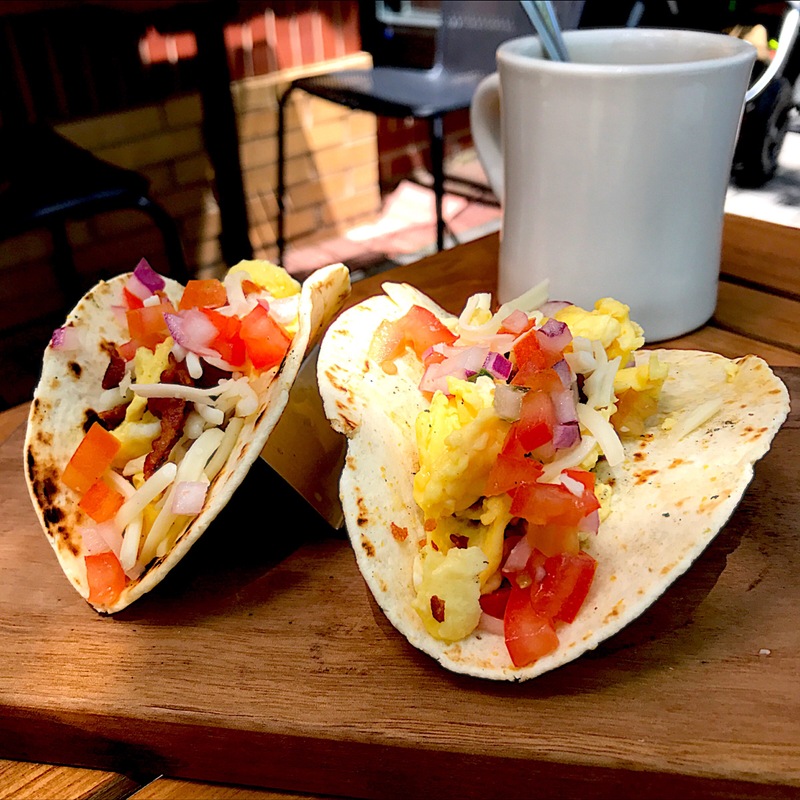 Breakfast tacos for the win. Get them with bacon, it was actually quite perfectly crisped. I can get picky about bacon and there’s nothing worse than a soft piece of bacon. (That’s what she said? No? Ok, sorry.) Their avocado toast was ok, but not something to die for. (You should never die for an avocado toast, anyways.) It’s a nice side to share but by no means it should be one of your main plates. Their skillets were actually really good. If I hadn’t been so full with the breakfast taco I would have killed them all but thank goodness I brought Brian along. We had one inspired by eggs Benedict and the other one had goat cheese and some other great stuff. There’s still so much I want to try over at Union Hall so stay tuned on my Instagram for future posts. I’m determined to try everything on their menu so let’s see how it goes. P.S. Their coffee was pretty good too! It’s no surprise that I love food. Like, I really, really love food. A fun part of the process when I share things here is that I like to take the time to learn more about where I went or what I ate. Sometimes it’s just a simple Google search, but even that gets to be really fun. I love Bareburger, not just because I love burgers in general, but they really do serve some really good quality stuff there. Last weekend, I did the unimaginable, I went to Bareburger and I did NOT eat a burger. I know, crazy. Instead, I opted for their brunch and boy, was it delicious. My boyfriend went for the Hungry Bear, a plate with 3 eggs, french toast, Canadian bacon and sweet potato wedges. 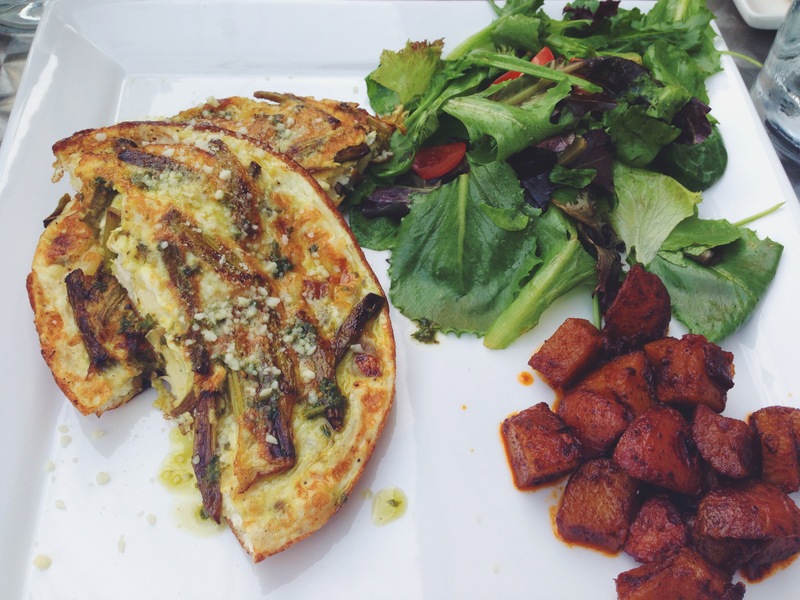 The sweet potato wedges were something in between regular sweet potato fries and home fries, perfect for brunch. I obviously had a few myself. Although tempted by the sound of such a plate, I ordered an avocado toast with a sunny side up egg and a side of their quinoa hash. I wasn’t quite sure what to expect from this quinoa hash, was it going to be a mashed potato situation or more like regular quinoa? What did I get? Two delicious hash brown-like patties with quinoa and some other amazing things that made it the best companion to an otherwise quite simple (yet fresh) avocado toast. Bottom line, there’s more to Bareburger than burgers. Those guys can nail a breakfast meal too. However, if it’s your first time going, definitely get a burger. It only makes sense. 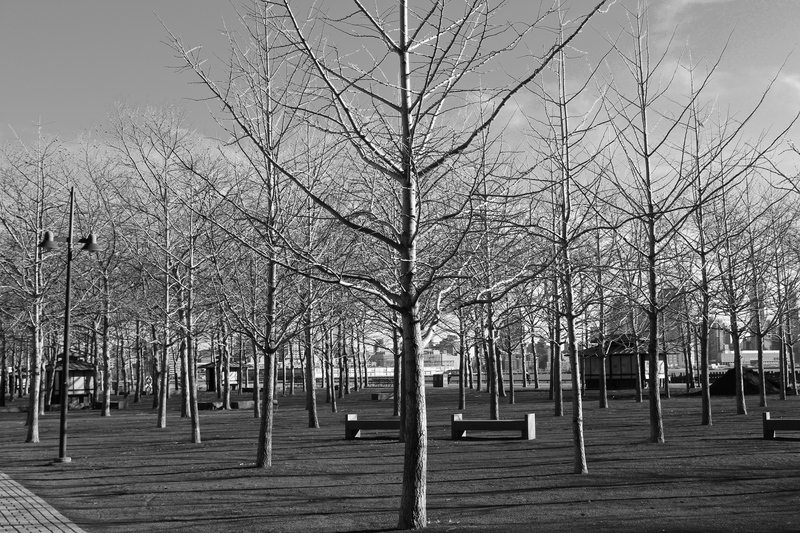 A little black & white mystery in the Hoboken scene, hiding imperfections and adding a sense of emptiness and fullness, all at once. 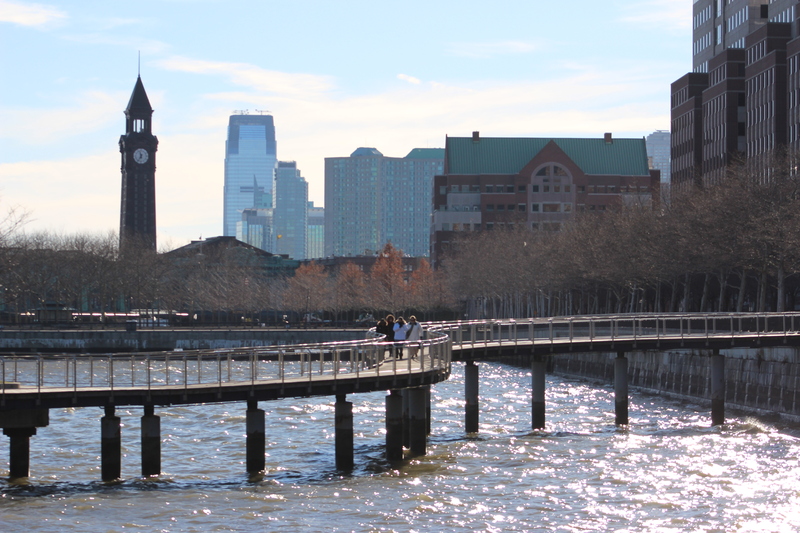 Hoboken Sunday Stroll With New Camera! Christmas came early for me this year thanks to Black Friday, but really thanks to my wonderful parents who got me an awesome new camera! (Pause to reiterate how amazing my parents are) I am now the proud owner of a Canon EOS Rebel T5 1200D with two awesome lenses that I am still figuring out how to handle. 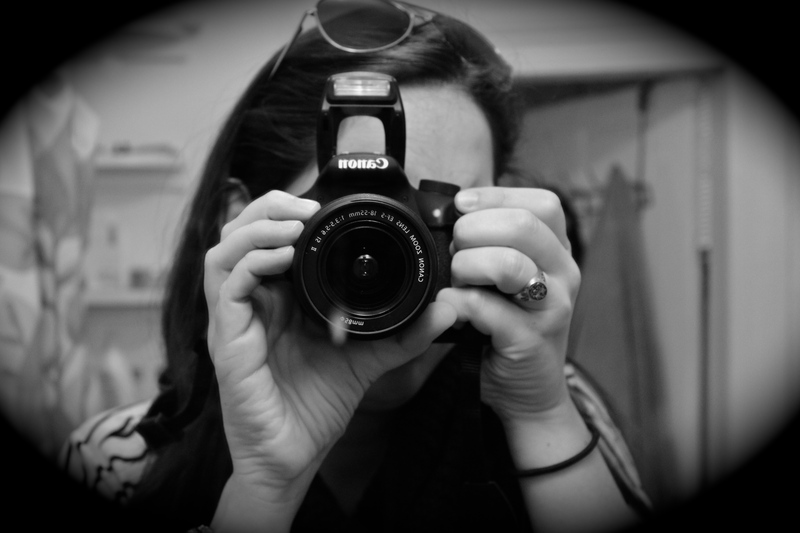 I clearly have a passion for photography, but I admit I don’t know much about it. My awesome friend photographer Naty Benitez has guided me through this process and I can’t wait to fully understand what she’s talking about. Whether you’ve seen my previous pictures or not (iPhone 5), I invite you to come with me in this journey of mastering the ability to capture the beautiful moments in life (chaos and all). 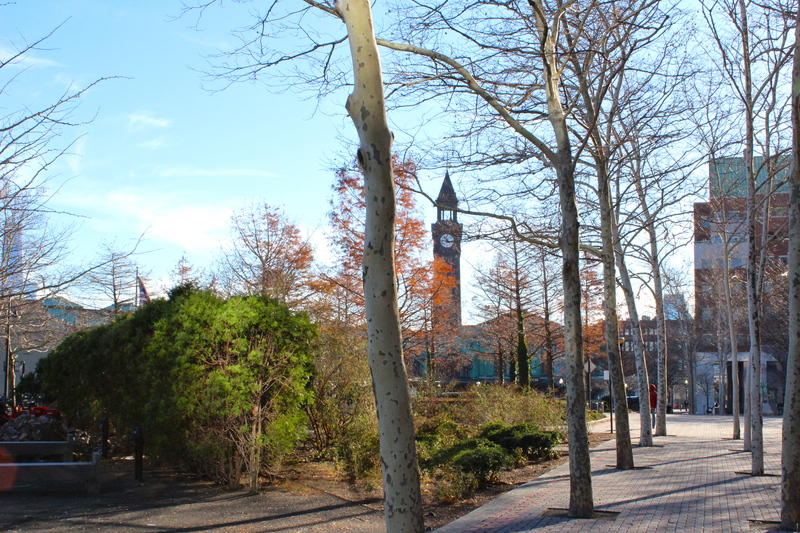 I love Hoboken, that’s nothing new. I do wish the trees had leaves, but it’s still such a nice view. 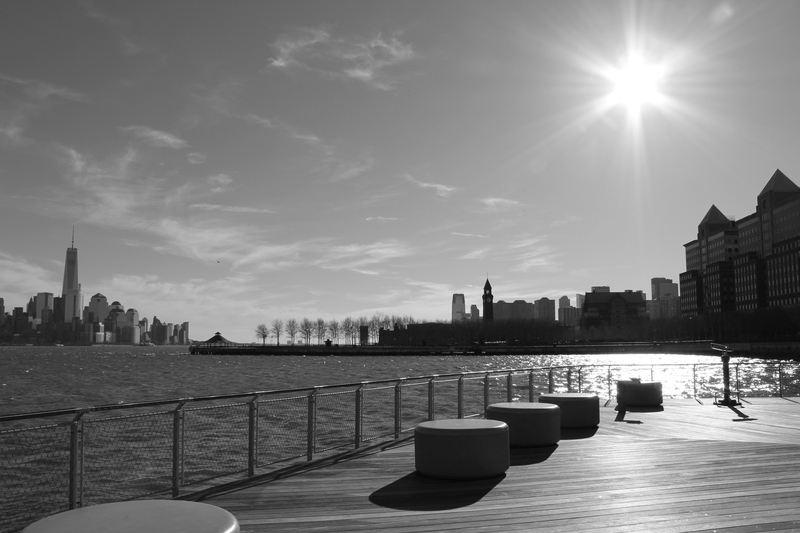 View from Pier C park, or how me and my friends call it, the secret park! I gave my boyfriend the opportunity to play around with the camera, a little nervous I must admit, but I love his sense of humor and the way he inspires me to be my goofy self. 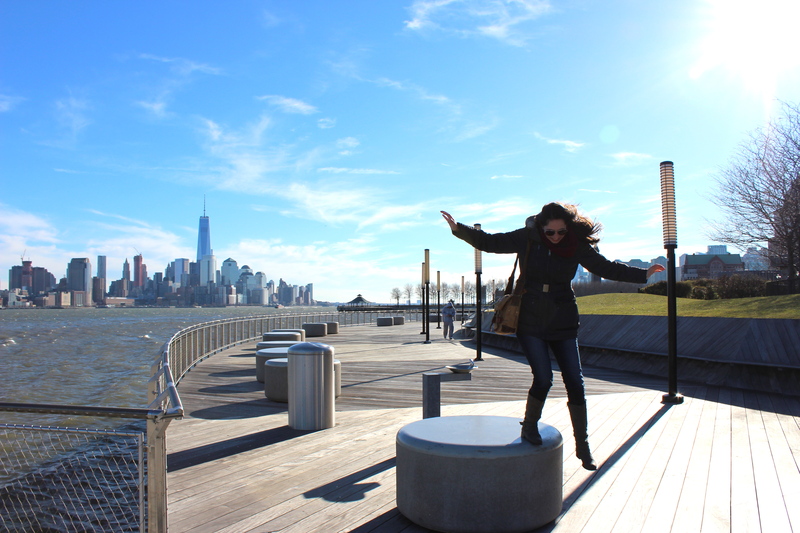 It was cold out, which meant almost no people outside and space for me to jump around like a fool. 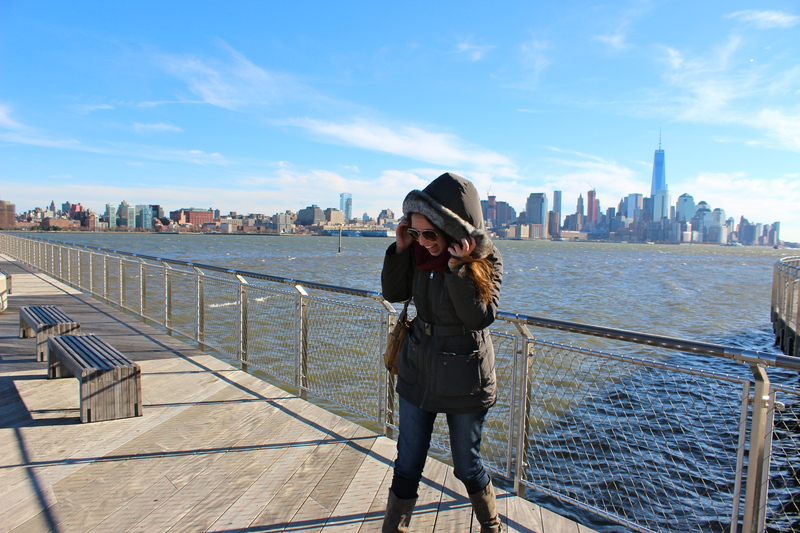 You can also see the One World Trade Center tower in the background. 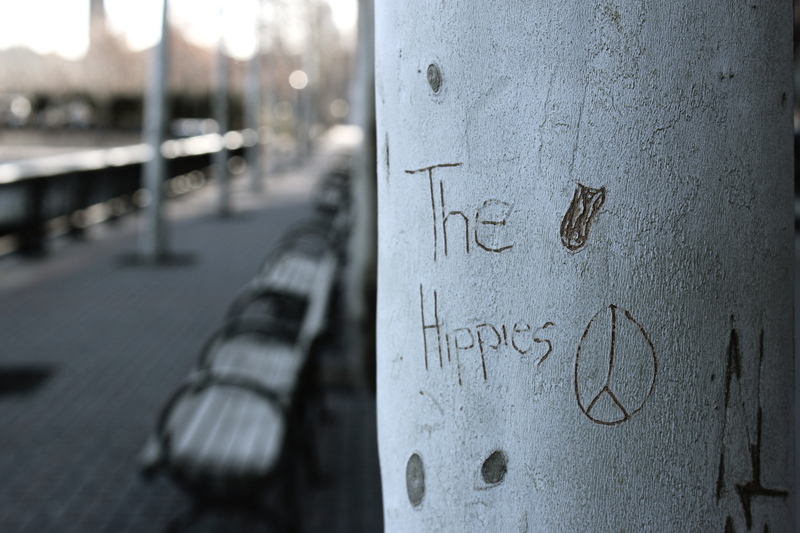 Hippies in Hoboken? Who knew? I really like this place, which is concerning because their service is not the best, but I always keep coming back. 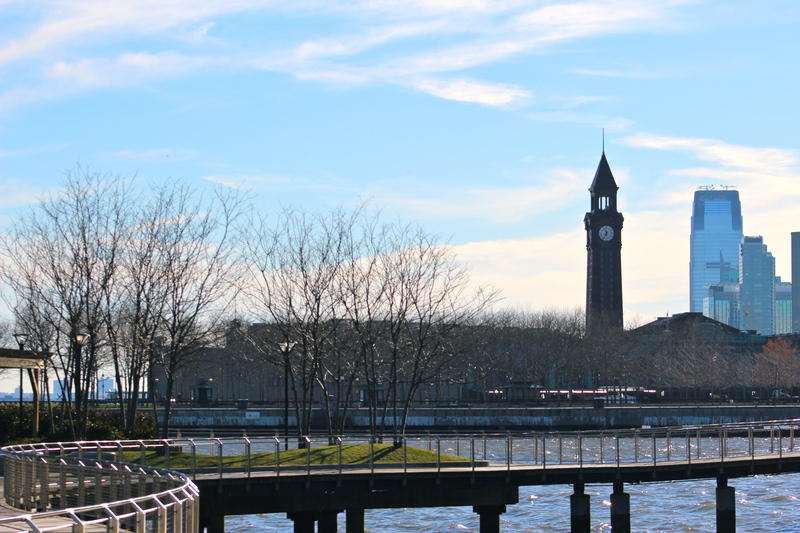 The Lackawanna terminal tower clock as seen from Pier A park. I have mixed feelings about Carlo’s Bakery. Although I’ve never tried their cakes or pastries myself, I’ve heard they are not that great. There’s always a line of people waiting to go in, which can be annoying when you’re trying to walk past by in a rush (most days). 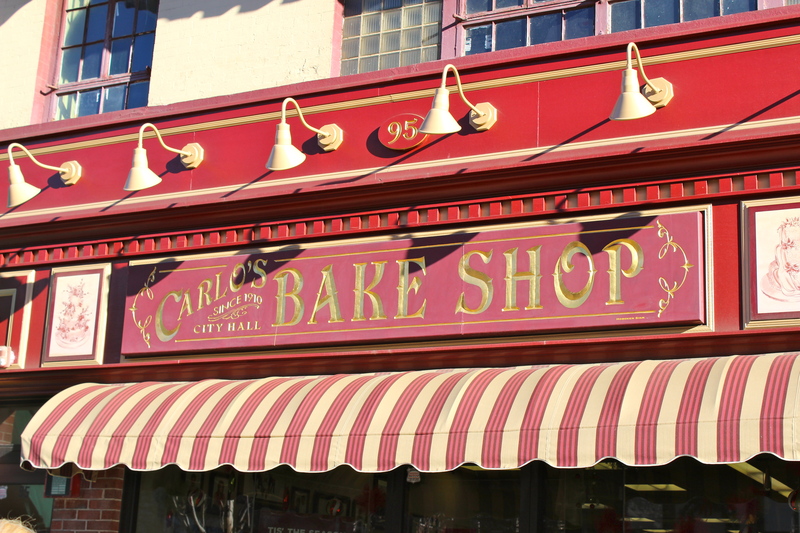 However, I do think that it’s great that people that are not from this area know of Hoboken because of Carlo’s Bakery. 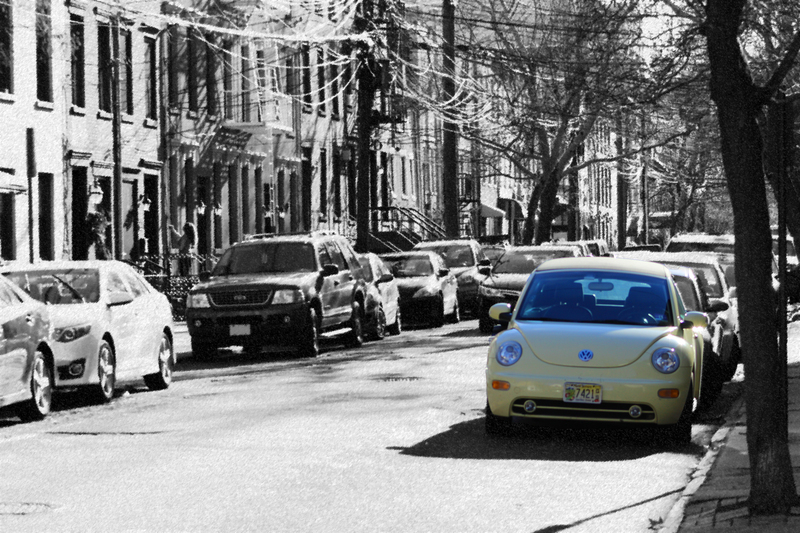 Hoboken obviously has so much more to offer, but at least people know where I live. Thanks for walking with me, so excited to keep sharing more pictures as I sharpen my skills! What did you think? Any tips for DSLR beginners? It’s been a few weekends since I’ve tried a new brunch place. Ideally, I would love to try a new one every weekend, but that would leave no space for me to return to the ones I already love! Yes, I know, #firstworldproblems. 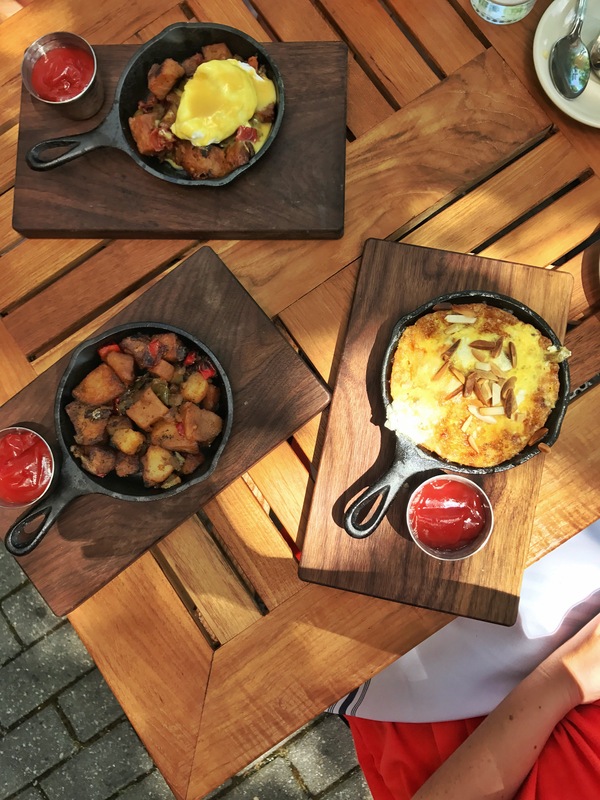 That’s why I was excited to find out that Hoboken restaurant Otto Strada was introducing a new brunch menu. 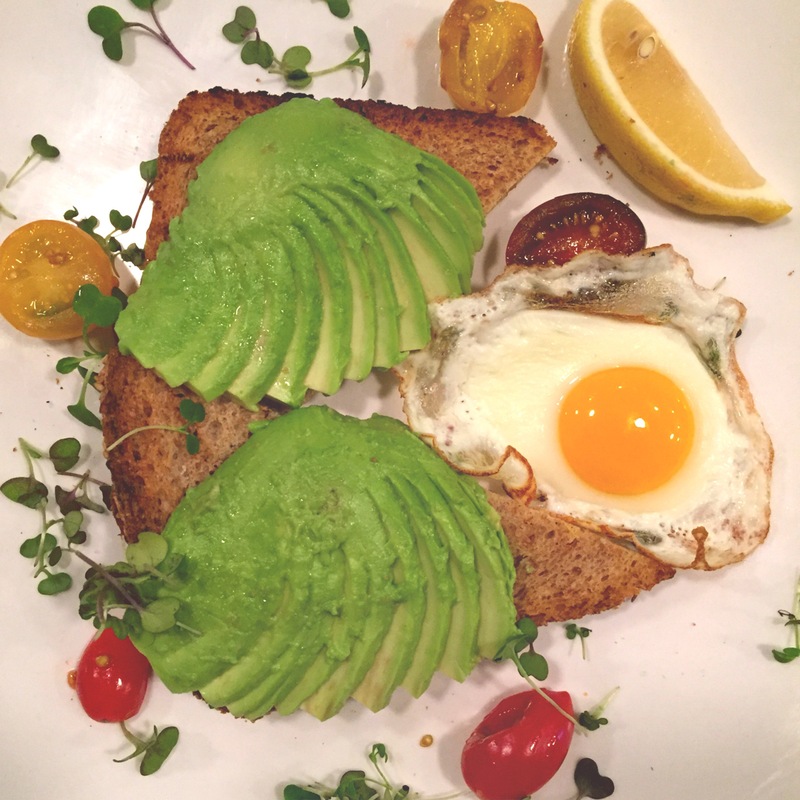 A place I already visited and liked, together with a new brunch experience? Of course I was in. I was delighted to see so many options on the menu and I was even more excited to be there with my boyfriend because that meant we could order a few things to try and eat it all together! You know I get very excited for food. 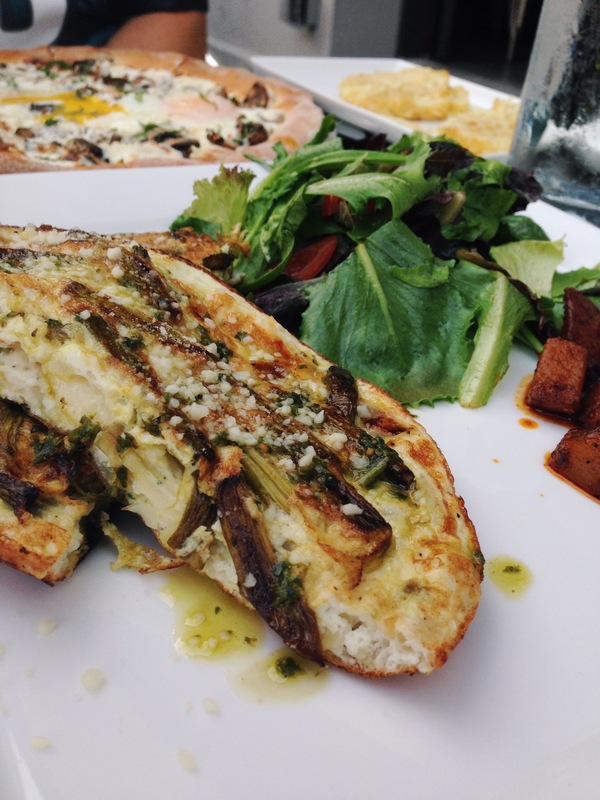 I ordered the Frittata di Asparagi, an egg-cake made with potatoes, asparagus, onions and topped with basil pesto and parmesan. I forgot the name of what my boyfriend ordered and the brunch menu is not up yet, but you can see it’s quite a breakfast pizza! 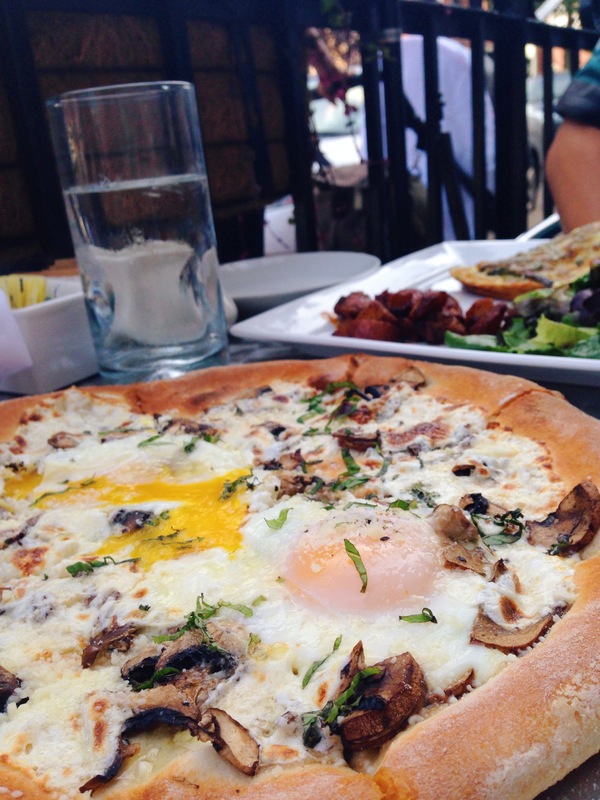 I loooove breakfast pizzas and this one did not disappoint.